Getting approved for your first credit card is exciting because it means you can start to build your credit. Plus, you’ll begin getting access to the perks associated with having an established credit history: lower interest rates, easy credit checks and the ability to apply for loans. But here’s the deal – if you’re not deliberate with your credit card use, you might find yourself in debt and with a lower credit score than ever before. Read on for 9 tips to handle credit as a first time user. Depending on how you plan to use the card, one factor may be more important than the rest. For example, if you plan to pay your balance in full each month, you may not be worried about the interest rate. But regardless of how you plan to use your credit card, it’s always a good idea to shop around and understand the terms and conditions of your credit card. It may seem obvious, but an important credit card tip for first-time users is to only spend what you can afford. It’s tempting to use your credit card to cover bills or to make ends meet until you get your next paycheck, but spending more than you can afford is a recipe for disaster. This can easily lead to a vicious cycle of minimum payments, high-interest fees, and stress. To keep things simple, only charge what you can afford to pay for. Of course, emergencies happen – a sick pet, unexpected home repairs, or sudden job loss. But even then, it may make more sense to get a personal loan. For regular expenses, it’s always best to ask yourself if you can afford the full purchase price. If the answer is “no,” then it’s probably best to walk away. When it comes to credit cards, the goal is to always pay the full balance each month. For example, if you spent $300 using a credit card, then you would aim to pay $300 towards the card within 30 days. This ensures that you aren’t accruing any interest, which is important because interest charges can add up quickly. Plus, paying the balance in full reflects positively on your credit score. Contrary to common misconceptions, it does not hurt your credit score if you pay your balance in full each month. If you’re unable to pay off your balance in full each month, it’s important that you at least make the minimum payment, which is calculated by the credit card provider and will appear on your account homepage. Here’s a great credit card tip for first-time users: pay extra when you can. If you can’t pay the entire balance, but you can pay more than the minimum, then make sure to do so. Here’s how it works – anything extra that you put towards your credit card balance will help you save money on interest and ensure that you can pay the balance faster. If you’re curious about how much you can save by paying an extra $20 or $30 per month, try experimenting with the credit card repayment calculator. For example, if you have a balance of $1,000 with 18% interest and a minimum payment of $30, you can save a total of $198.89 by paying an extra $20 each month. Errors can occur from time to time, it happens. But if you don’t want to end up paying for mistakes made by your credit card company or another business, it’s important to check your monthly statements. There are a few specific things you’ll want to look for. Double Charges. This occurs when companies accidentally charge you twice for products or services. Unauthorized Transactions. If you’ve disputed a wrongful charge and your credit card company is investigating it, you are not responsible for paying for the charge until the investigation is complete. Fees. Always double check to make sure that any fees that appear on your statement are correct. If the fees aren’t correct or if you’re unsure why the fee is there, call your credit card issuer to get more information. Always keep your credit card information safe. Don’t ever give your credit card information to strangers on the Internet and make sure to check that websites are secure before entering your information. Taking a minute or two to confirm that a site is secure can save you hours of frustration and could even prevent you from becoming a victim of fraud. In the past few years, hundreds of Canadians have reported errors on their credit reports. Mistakes happen and that’s why it’s important to regularly check your credit score. Ordering a copy of your report is simple and can be done by letter or phone with Equifax Canada or TransUnion Canada. It’s a good idea to check your credit score once every year. It’s recommended to order a copy from one credit bureau and then wait six months and order a copy from the other credit bureau. This way you can keep an eye on things and catch errors faster. There are a few factors that determine your credit score. The length of your credit history is determined by when you first opened a credit card or signed for a loan. As a first-time credit user, it is a good idea to keep your credit card open for as long as possible. As long as there isn’t an urgent reason to close it, keeping your first credit card account open will help improve the length of your credit history. Credit use refers to making payments on time and keeping your account in good standing. It also refers to credit usage or the percentage of your available credit that you have used at any given time. The rule of thumb is to use no more than 35% of your available credit. So, if you have a credit limit of $15,000, your balance shouldn’t exceed $5,250. When it comes to different credit types, it’s a good idea to diversify your loan types. This may mean taking out a car loan or a different form of credit (like a personal loan) as needed. 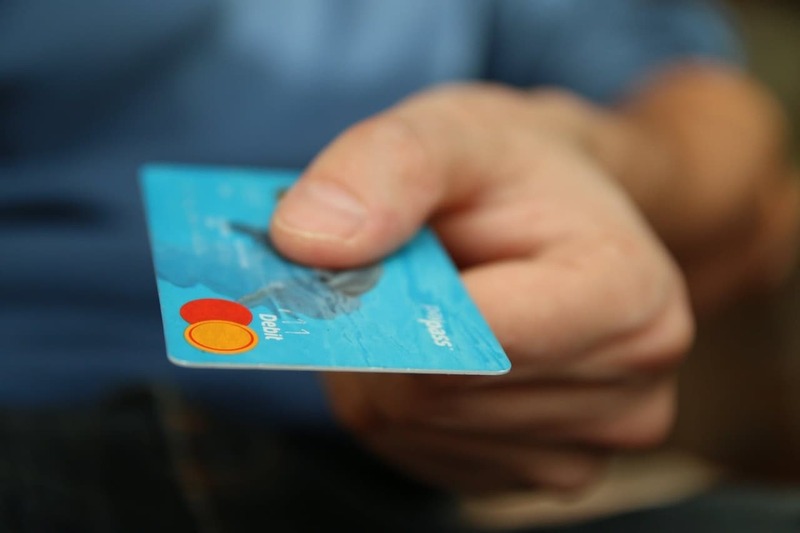 As you begin to establish your credit and take advantage of the perks of having a credit card for the first time, these 9 tips will help ensure that you enjoy the positive aspects of credit card ownership.